Did you know that you can make awesome cocktails out of flowers? It’s possible to create beautiful and tasty drinks, from popular blooms like roses and orchids, for events and occasions or whenever you want to turn an average day into a special one. Whip up this Rose Margarita for an Easter or Mother’s Day gathering, and use the beautiful rose to symbolize new life or love. Place all ingredients (except salt) into a cocktail shaker. Add ice and shake. Pour into a margarita glass rimmed with rose salt. Enjoy! This is another flowery cocktail that’s ideal for holidays. 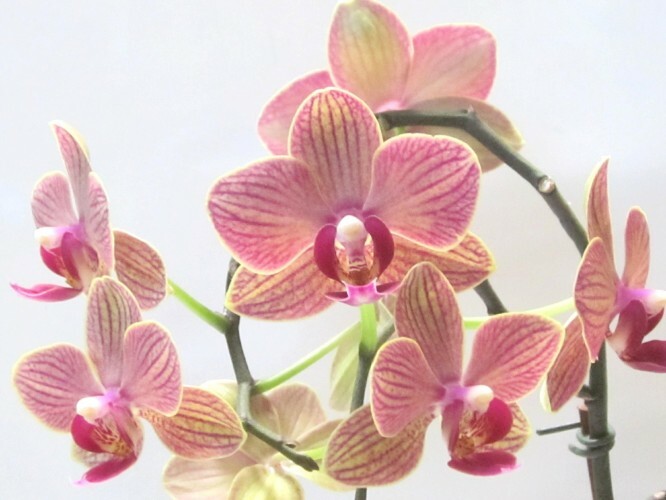 It makes a beautiful spirit to serve at bridal showers and weddings too, as orchids have long represented fertility. Add all ingredients to a cocktail shaker (except champagne). Add ice and shake. Then, add the champagne, give the mixture a swirl, and pour into a highball glass. Garnish with your fresh orchid. These are two yummy cocktails that you can make with flowers, but there are certainly more. If you use your imagination, we know you can come up with some others like a pansy sangria or a chamomile citron spritzer, perhaps. Do you ever make cocktails with flowers? If so, what do you make. We would love to hear about your drinks in the comments below.